In the racing world a lithium battery is one of the simplest ways to drop weight and save space in your motorcycle. Fire Power has taken this same lightweight lithium technology and repackaged it to be even more user-friendly. 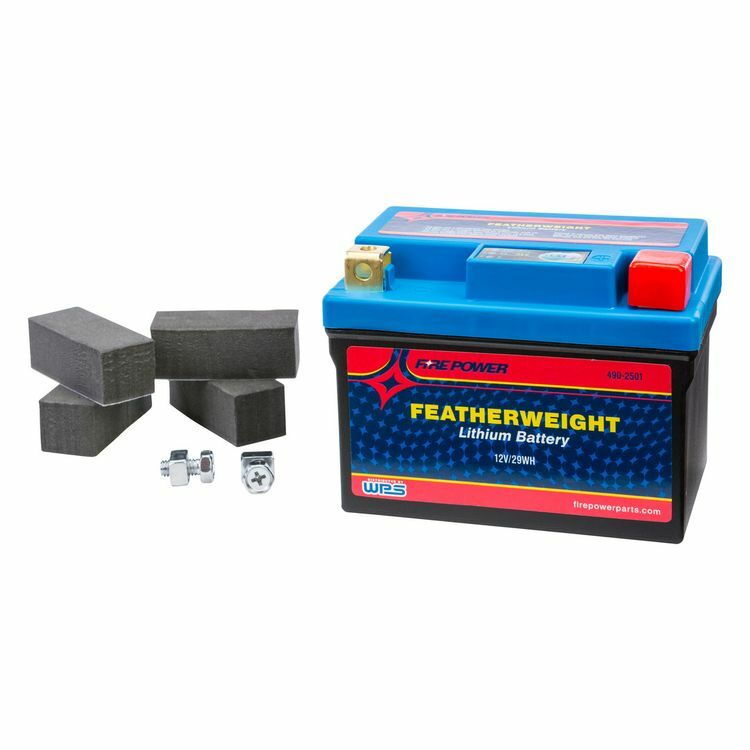 The Fire Power Featherweight Lithium Batteries feature a built-in LED test gauge, standard battery post and battery cases that closely match any conventional battery dimensions. Each Fire Power Featherweight Lithium Battery can sit disconnected for up to 1 year before it'll need recharging and it can be charged up to 90% capacity in only 6 minutes. Note: Product may vary from photo. We recommend charging and testing all batteries prior to using.